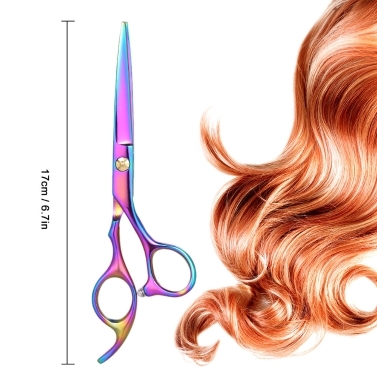 Ideal tool for hairdressers. 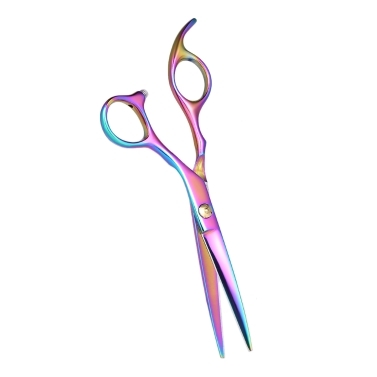 Ergonomic finger rest design scissors handles; Light weight & extremely smooth. 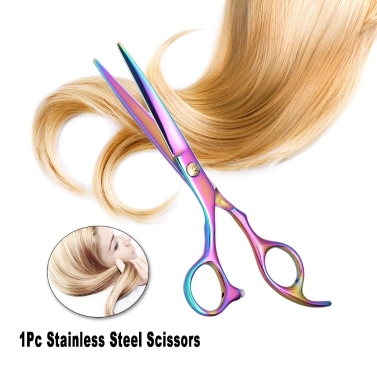 Suitable for both wet and dry hair. 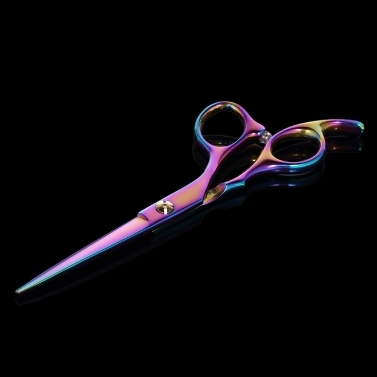 Can also be used as normal scissors. 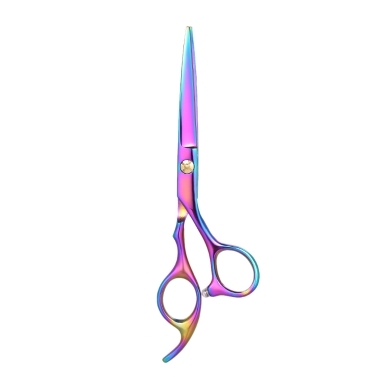 High quality stainless steel scissors, durable for a long time use. 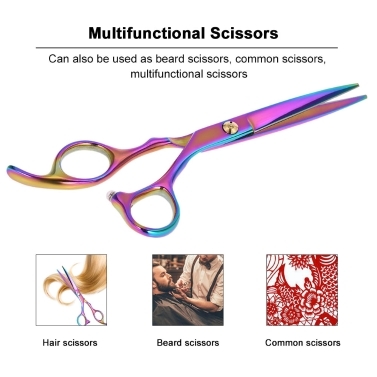 Can also be used as common scissors, multifunctional scissors. 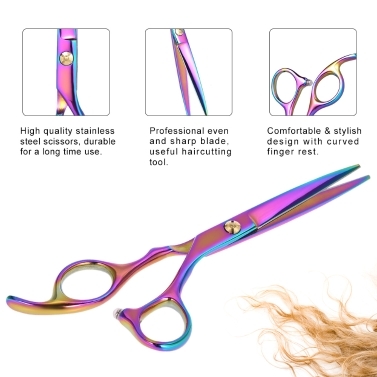 Professional even and sharp blade, useful haircutting tool. 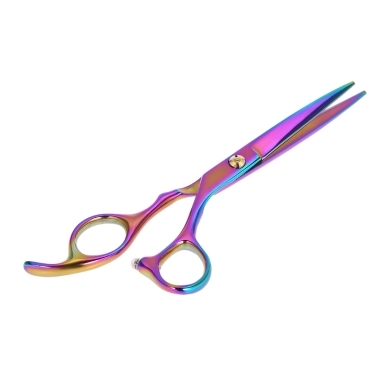 Light weight and mini size design, great for traveling. 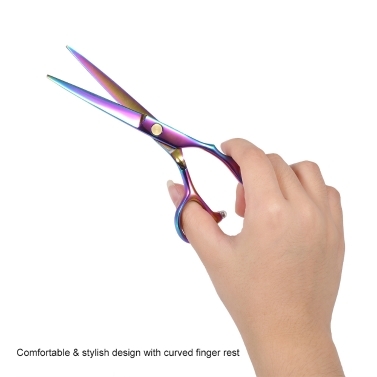 Comfortable & stylish design with curved finger rest.